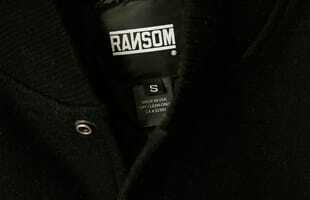 Ransom is a popular streetwear and casual footwear brand, that often collaborates with adidas Originals for footwear designs. They are most known for their simple, yet fresh looks and notable collaborations with brands like Stussy. Listen: Smoke Dza f/ Fat Trel & Ransom "AC/DC"
Kicks of the Day: Ransom by adidas Originals Valley Low "Light Grey/Satellite"
Kicks of the Day: Ransom by adidas Originals Valley "Tan/Cardinal"
Ransom x adidas Originals Strata FTD "White"
Ransom by adidas Originals Plain "Black/Red"
Ransom by adidas Element Series The Mesa "Forest"